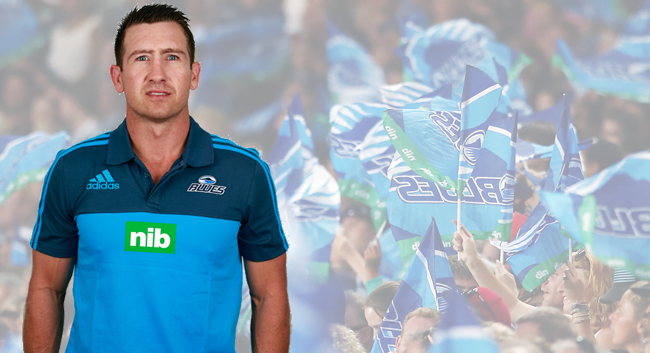 nib has teamed up with the Blues and we sat down with the Blues strength and conditioning coach Jason Price. Can you run us through what your role is and what you do with the Blues please? My role is to physically prepare the players to enable them to perform on game day. This includes conditioning (running, biking, rowing etc), speed/power training, weight training, recovery, injury prevention (in conjunction with the Blues medical staff), nutrition (with the support of nutritionist Dave Shaw). How do you get the Blues match ready? Can you run us through a typical week? On the first day back (Monday for a Saturday game) we will screen the players and see how they are feeling both objectively and subjectively after the weekend’s game. The players that may not be recovered as much will do a recovery-based session on this day and the rest of the players will get into the gym and lift weights. Any players that didn’t play many minutes at the weekend will also do some extra running which will be a combination of games and repeated speed. Tuesday we do two rugby sessions in the morning, followed by a gym session in the afternoon where some players will finish with some extra conditioning. Wednesday for a Saturday-to-Saturday game will be a recovery day. Thursday is where we sharpen the players up with Power and Speed and our last full rugby training session. On Friday the selected players perform a last run together of approximately 40 mins. Saturday is game day and recovery on Sunday. What is the most taxing / difficult exercise you put the team through? During the preseason the players perform at least one session per day that would rate a 10 out of 10 for difficulty. This year the players found the wrestling sessions extremely tough. We also completed an overnight camp in the latest preseason which challenged the players on a number of different levels. Who is the fittest and strongest player in the Blues? Who can bench press the heaviest weights in the Blues squad? In the current squad Piers Francis, Billy Guyton, Bryn Hall and Matt Duffie would be the fittest which is to be expected given their positions. Strength wise Ofa Tu’ungafasi and George Moala would be the strongest in the squad across the upper and lower body. What is the most effective way for someone to bulk up and get fit? Any common mistakes that you see at the gym? Bulking up and getting fit are two very different goals. If you want to get fit, you need to choose an activity which raises your heart rate over an extended period of time. Eating healthy helps to! It is important that you choose an activity which is appropriate for your fitness level and if you’re not sure what to do then ask a professional. Bulking up is achieved through hypertrophy (reps of 8-12) training where the body is put under stress, and the muscles grow as a result. This type of training is tough, as consists of short rest periods and at times taking the muscles to the point of failure. Tell us about the most interesting/funny/strange experience you’ve had working with the Blues? Being in the team environment, and travelling together lends for some interesting and fun times. And working with characters like Ali Williams, Rene Ranger, and Culum Retallick means that every day is interesting,funny and strange. Can you run us through the typical weights program of the Blues forward pack? Depending on what position they play it is important that forwards are able to produce a high amount of force in the upper and lower body as well as be extremely strong through the core. It is also important that they have the ability to produce this force quickly. Important exercises for this group include Squats, Deadlifts, Bench Press, Chin Ups, Power Cleans and different variations of bridging. Even though the Blues are professional athletes, is it still important to have fun at training from time to time? Is there anything you do with the team during training to inject some fun into the experience? Absolutely! The players spend a huge number of hours over the course of a season training so it is imperative that fun activities are planned. A fun game at the start of a training sessions serves the purpose of getting the players warm, but also energising them and getting some spark they can take into the training sessions. Any activity involving some form of competition generally gets the players up. How important are strength and conditioning to the outcome of a rugby match? I think we are vitally important as every activity on the rugby field requires some form of strength, power, flexibility, endurance or fitness. We also try to identify player’s weaknesses on the field, then train as specifically as we can off the field to assist. However, every team at this level has good Strength and Conditioning programs, so it is important that the Rugby/Strength and Conditioning content is synchronised and balanced. Even if someone is not a professional sports player, how important are strength and conditioning in everyday life? In most cases, everyone can benefit by being a little fitter, healthier or stronger. This can be achieved through a simple program that can essentially make daily tasks, functioning, and even sleeping easier/better. Are there any local businesses in New Zealand that you work with to keep the Blues match ready? We have many partners who assist us in preparing the rugby team for games. Partners such as New World (for our food), HART Sport and Blue Fitness (for all our training equipment), BSc (for protein shakes and bars), and USL Medical and Elastoplast (strapping gear).